Have you ever wondered what the difference between snorkeling, skin diving and free diving is? Today we are going to solve this doubt and question of yours, because we consider it critical to have a pretty exact knowledge on what each sport is about. It’s our duty to inform you of the differences and what makes each one of these aquatic sports unique on its kind and different from the rest – so stay here and read every single thing we have to share with you in this amazing, exciting and pretty good article. We will dedicate to each activity its own section, so stay here and read. Let’s begin with snorkeling. Snorkeling is without any doubt the most popular choice for those who want to dive without the help of heavy gear like scuba divers do. A lot of people give snorkeling a try ever year, be it in their hometown or during their holidays. What makes snorkeling pretty unique? Well, all the people who want to do snorkeling will have to use full-foot fins, a snorkel (duh! ), a mask and that’s it. Some people also like to wear a buoyancy vest so that they can float easily and without any further complication, but there are those who don’t like to wear this kind of vest. When you are snorkeling, all you have to do is to swim in the surface and just look down to that mysterious aquatic universe under you. Now it’s time to talk about free diving. Free diving is pretty unique in its kind, because it’s the only activity that’s aimed for competition and uses techniques that allows the participant to absorb as much air as possible and use the minimum of water while underwater. The masks used for free diving are pretty light, and people use to dive vertically as well as horizontally. The goal in free diving is to remain underwater the maximum time possible, this is where the difference between free diving and snorkeling becomes pretty evident. Skin diving is extremely similar to snorkeling. It’s a term used to people who are ready to dive if they see something that catches their attention. Let’s suppose you are snorkeling and suddenly see a pretty interesting fish you wanna see closer, then if you dive below the surface then you are doing skin diving – it’s as simple as sthat. The principal difference between free diving and skin diving is that the former is just a variation of snorkeling, while the first one is radically different: it’s aimed for competition, the end goal is to stay under water as much time as possible, and they used a different set of masks and foot-fins, and sometimes hand-fins as well. Hope you enjoyed this piece of content, and what’s more relevant: we hope you understood the key differences between snorkeling, free diving and skin diving – if you liked this article, share it with your friends! Kayaking is more many more than a simple sport: it’s a passion. If you really feel that kayaking is a passion for you, then you will be beyond delighted with this article, which will teach you everything you need to know in order to become a much better kayaker. There are many things you may have overlooked, or things you have not become aware of, but today we are going to bring a solution to these problems, so that you can become a better kayaker without much problem at all – join us, read and learn! It’s recommended for kayakers who really want to enter into a whole new level to set up a training schedule. Order is what is going to give you the kind of wisdom you need to become an above-average kayaker. You have to see which skills you need to better, that’s why you need to track your results so that you can have raw data you can later analyze. Most people who practice kayaking as a hobby don’t tend to be very organized, you should start adopting this useful habit to your life, because if you have a pretty organized and information-rich training schedule, you will be able to track your results and see what things you can improve without problems. Kayak fishing is a more advanced form of kayaking that requires a bit more know how and organization. Be ready to learn and stay organized…and catch fish. 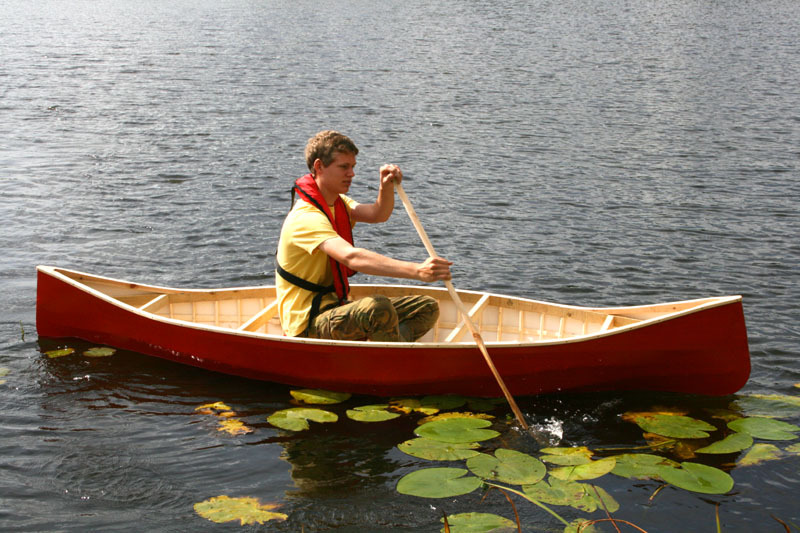 It’s well-known that kayakers who learn old-school canoeing become much better at the hour of kayaking. This is a technique which has been implemented by kayaking enthusiasts all over the world for a lot of years, and you should implement this useful practice to your life as well, because this will allow you to gain a lot more control over your kayak, because in free style canoeing you have to master something pretty crucial: how to preserve energy. This useful skill will build up endurance and turn you into a pretty smart individual when it comes to using energy strategically. This may sound ridiculous, but there are lots of kayakers who are afraid of water! You need to get rid of this fear if you want to advance in your career as a kayaker, because it’s simply holding you back in your progress. If you want to get rid of this fear easily and as fast as possible, then you should consider taking a few classes of surfing, or even better, you should give snorkeling or free diving a try – and you can also try scuba diving. The point here is to don’t feel afraid of water. This may hurt your ego quite a bit, but you need to understand that if you want to become better, then you need to kayak with someone better than you. This will allow you to absorb a lot of information on how you can become a better kayaker, because you are going to directly learn from someone whose skills are superior to yours – and this is always great. If you like to swim in open water, but feel like you are not good enough, then it’s just a matter of reading this article. In fact, you can become an excellent open-water swimmer faster and easier than you think. It’s just a matter of focusing on things that really matter, on things that will make of you a better swimmer and that’s exactly what we are going to discuss on this new release. One of the things that may holding you back in your progress as an open-water swimmer is the fact that you are scared of the sea – but it’s pretty normal. During our childhood we have seen movies about sea monsters or just news on how a shark devoured a man in a matter of seconds – but you need to get rid of this fear if you want to become a better swimmer. That’s why we say that swimming in open water is FAR more challenging that swimming in a pool. In the pool you are pretty safe and you have almost no chance of suffering an accident. In the open water you only have to rely on your selves and few other mates around you. You need to realize that you are afraid of this situation, because only with acceptation from your part you will be able to fight back this issue. The only thing we can recommend you to fight this fear, is to just swim as much as possible. You need to fight this fear by actually doing what you are supposed to do: swim. But don’t be stupid, if you realize the sea is pretty wild, you should return to the shore. Because you need to be smart at the same time, and be capable of recognizing when the sea is just too wild. That’s why you should always test the water before swimming, you shouldn’t be afraid of the sea, but you should ALWAYS respect it – remember this important piece of advice. You need to build muscle if you want to swim faster and get less tired. That’s why we recommend you to hit the gym and get a good weightlifting program, because this will allow you to build muscle, gain strength and power – these are the elements you need to become a better swimmer in open-water. Fitness out of the water plays a huge role, more important than what you realize right now. Adding more muscle to your body won’t make you slow or bulky as some people seem to state, to the contrary, you will be able to swim faster and with more confidence in yourself. You need to strengthen your body and mind if you want to become better at swimming in open water. You need to combat your fear and also need to build some muscle and strength – these are the tips we needed to give you, so that you can become a much better swimmer! Where is the Best Kite Surfing in Hawaii? Hello everyone, and welcome to el-turwindsurfind.com – My name is William Fiore, if you want you can call me Will. And I am the owner, webmaster, and editor of this very blog. I would just like to start of by saying thank you for taking time out of your day to visit my blog, even share the content that i have posted here – it truly means a lot. And as for this blog, it was created out of the passion i have for the ocean, i have lived by the sea for most of my life – so i decided to help educate the world on the topic of everything aquatic. I hope you find the content that i have posted here useful.